You must be a member of the Singapore Discovery Group to attend this activity. Would you like to join this group? 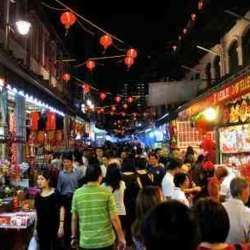 Let's get into the Chinese New Year Festive mood with dinner at Maxwell Food Centre, trying some unique and amazing local delicacies like Fu Zhou Oyster Cake, Hainanese Curry Pork Chop Rice, Laksa, Char Kway Teo etc followed by a walk at Chinatown just opposite.